Teams up with Mommy’s Light and Daddy’s Light to Meet Kids on Game Day! Philadelphia, PA – 9/25/12 – In 2009, DeSean Jackson and his four brothers grieved the death of their father from pancreatic cancer. “I miss him every day. He inspired me to be successful on and off the field,” says DeSean, #10, a two-time Pro Ball wide receiver, for the Philadelphia Eagles and one of the league’s most dynamic players. In an effort to honor his father’s memory, and to help families remember the life of a deceased parent, DeSean has teamed up with the nonprofit Mommy’s Light and Daddy’s Light to make a difference. DeSean and the Philadelphia Eagles have donated a special game day experience for eight (8) families a special game day experience for eight families during the course of the 2012 NFL season. “DeSean understands how important it is to focus on the healing aspects of remembering the life, and the love that never goes away,” says Laura Munts, President of the Board of Directors of Mommy’s Light and Daddy’s Light. “That’s what traditions are all about, and we are grateful to team up with him to support grieving families in this exciting way.” The organization’s mission is to bring joy and comfort to the grieving children and teens by helping them to keep alive traditions and simple pleasures they shared with their mothers and fathers. NFL Films President Steve Sabol died Tuesday after a long battle with cancer. 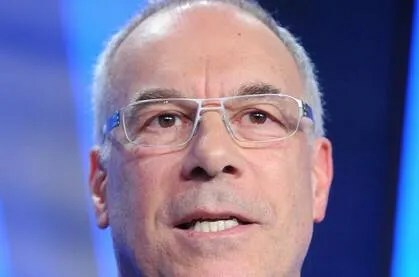 NFL Films President Steve Sabol died Tuesday after an 18-month battle with brain cancer. He was 69. NFL Films began in 1962, when Sabol’s father, Ed, won film rights to the league’s championship game, which Steve worked as a cameraman. Sabol is survived by his wife, Penny; his son, Casey; his parents, Audrey and Ed (who is 96); and his sister, Blair. 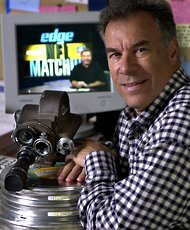 Under Steve Sabol, NFL Films pioneered video techniques such as super slow-motion, wireless microphones on players and dramatic music added to replay highlights. His father was elected to the Pro Football Hall of Fame last year. Father and son received the Lifetime Achievement Emmy from the National Academy of Television Arts and Sciences in 2003. According to the NFL, Steve Sabol won more than 40 Emmy Awards and oversaw 107 Emmys for NFL Films. The family requested donations be sent to the Jefferson Foundation for Brain Tumor Research, c/o Lindsey Walker, 925 Chestnut St., Suite 110, Philadelphia, Pa. 19107. 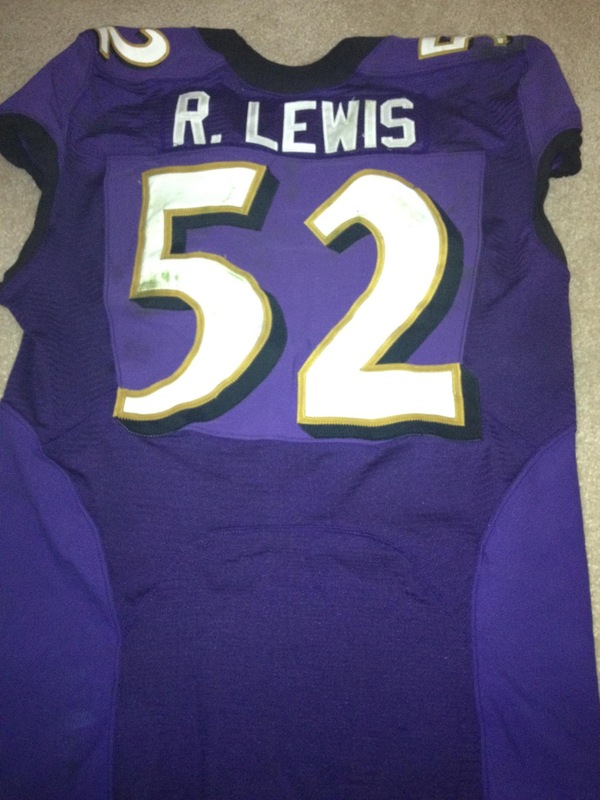 Somewhere, Ray Lewis has DeSean Jackson‘s jersey. In a sign of mutual respect, Jackson and Lewis swapped game jerseys after the Eagles’ come-from-behind 24-23 win over the visiting Baltimore Ravens. 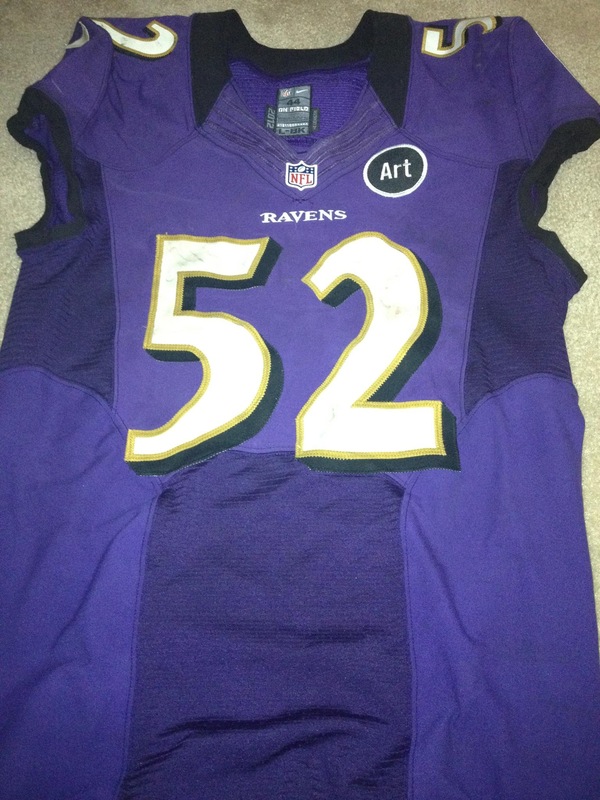 Luckily for Lewis, that jersey’s going to have plenty of value following Jackson’s memorable performance on the day. Listed as questionable with a hamstring injury coming into the game, Jackson fought through the injury that he said kept him to “85 to 90 percent” health. But Jackson didn’t just play, he made a significant impact, catching seven passes for 114 yards, including one 49-yard reception in double coverage. Jackson’s seven receptions were the most he’s accounted for since Week of the 2010 season, 25 games ago. As he was stuffing Lewis’ purple jersey into his backpack, Jackson asked the media throng behind him how many turnovers the Eagles committed on the day. After shaking his head, the wide receiver explained why those giveaways are so frustrating. In what became a very physical game, Jackson was often in the middle of the post-play extracurricular activities, even drawing an offsetting 15-yard unnecessary roughness penalty after a shoving match with Ravens cornerback Cary Williams. Later, when Jackson found himself on the other end of Michael Vick‘s 49-yard toss down the right sideline, Jackson took a big hit from the safety but held onto the ball. As teammates came over to check on the receiver, Jackson proceeded not only to lift himself back up, but to show off a few pushups first. In all, it was the kind of vintage DeSean performance that had been missing at times last season. And for his part, after two hard-fought one-point victories, Jackson, never one to lack confidence, believes that something special is brewing with this Eagles team. Make sure to follow us on Twitter @EaglesInsider. FORT DIX, N.J. – When DeSean Jackson was drafted by the Eagles, he knew very little about Philadelphia – except that his cousin lived there. Jackson said he didn’t know his father’s first cousin Jimmy Jackson very well until he arrived in 2008. But he was family and the receiver was far from home, so they started spending a significant amount of time together. His cousin, DeSean Jackson said, “showed me the ropes” of living in Philly. But Jackson said he learned much more from Jimmy Jackson, 64, who served in the Vietnam War. Jimmy Jackson became the inspiration for the Eagles receiver’s getting involved with the Wounded Warrior Project. 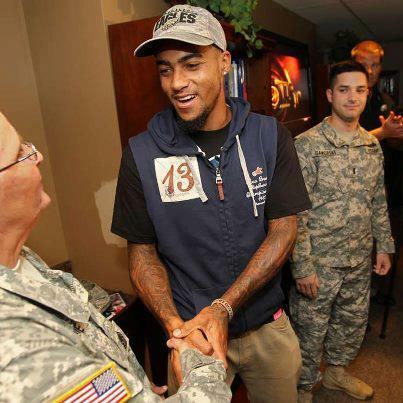 DeSean Jackson donated $50,000 to the organization that provides aid to servicemen and women who suffered injuries and illnesses on or after Sept. 11, 2001. O’Shea said that Jackson approached Wounded Warrior about doing something to honor the men and women of the military who, like his cousin, are still afflicted. 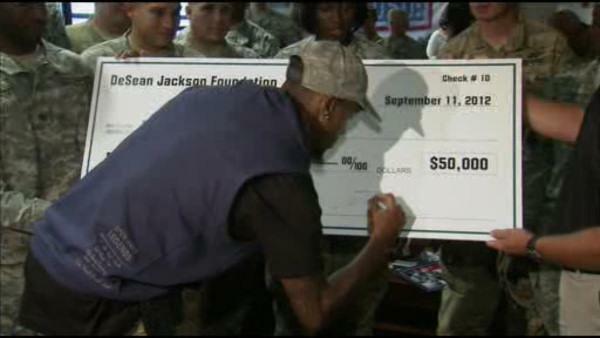 Jackson, 25, presented the check on Tuesday at the Soldier and Family Assistance Center at Joint Base McGuire-Dix-Lakehurst. 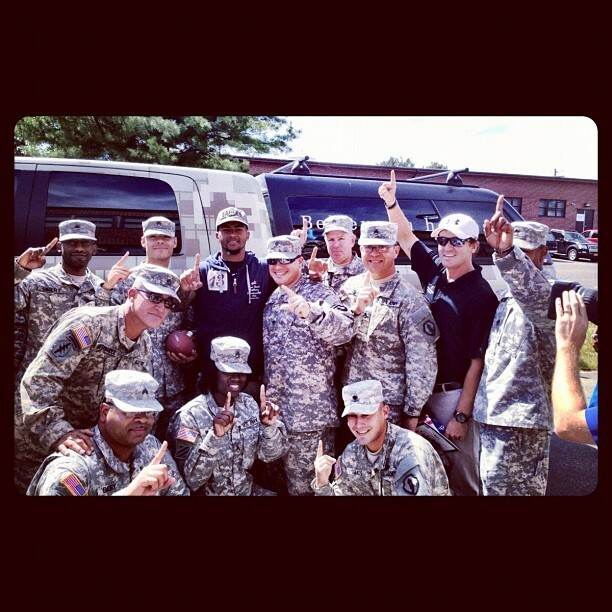 He signed autographs for soldiers and alumni of Wounded Warrior. Jackson also played cards, shot pool, and posed for pictures. He then went outside and tossed a football around. Jackson’s mother, Gayle, said that his cousin would have attended the event, but had doctors’ appointments he could not miss. Jimmy Jackson was a sergeant in the Army and earned two Purple Hearts and two bronze stars. He became a surrogate to DeSean Jackson after his father, Bill, died of pancreatic cancer in April 2009. “Once my dad passed away, he stepped up and was there for me a lot,” Jackson said. Contact Jeff McLane at 215-854-4745 or jmclane@phillynews.com, or follow on Twitter @Jeff_McLane.